​​Kareem Hunt's NFL career has been put on hold following ​his release from the Kansas City Chiefs as a result of a ​​​video surfacing in which Hunt was seen shoving and kicking a girl at a hotel in Cleveland. The incident occurred in February, but the video was only released this past weekend. 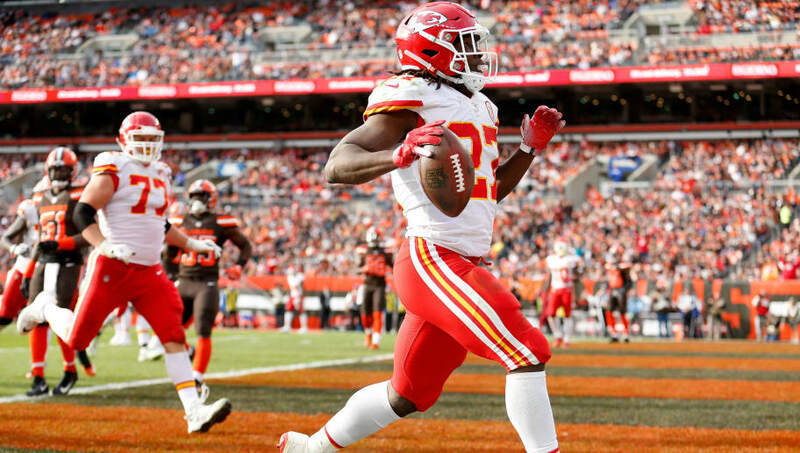 In an interview with ESPN's Lisa Salters, Hunt spoke to the media for the first time since he was released from the Chiefs' organization. The 23-year-old offered his condolences for ​his actions and expressed his regret over the incident. Ex-Chief Kareem Hunt on @ESPN: "I realized what I did once I saw the video. It was tough to watch. I'm not that type of person. ... That's not me. I was raised better than that." Hunt confirms the NFL never questioned him. Hunt confirmed the rumor that he was never questioned by the NFL after the incident was initially reported. He also conveyed his remorse, stating that he was "raised better than that." It seems as if the video release was as much a surprise to Hunt as it was to the rest of the league, as he was unaware of its existence up until TMZ released the footage. Hunt says he didn’t know the video existed until we all saw it. Hunt remains a free agent at the moment and is unlikely to join an NFL team prior to next season. His actions have severely harmed his reputation and despite being just 23, Hunt will be remembered more for this incident than anything he's done on a football field. Ex-Chief Kareem Hunt on @ESPN: "I want to let the world know how sorry I am. ... I'm definitely not that type of person. My mother raised me right." Rather than preparing for the playoffs and a possible Super Bowl trip, Hunt will find himself at home, thinking about how things went so wrong.